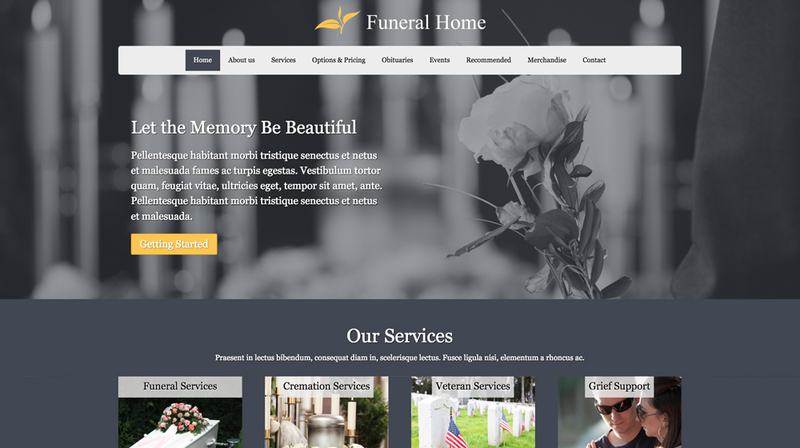 A good portion of our time and effort have been spent to make the best WordPress theme for funeral homes that money can buy. 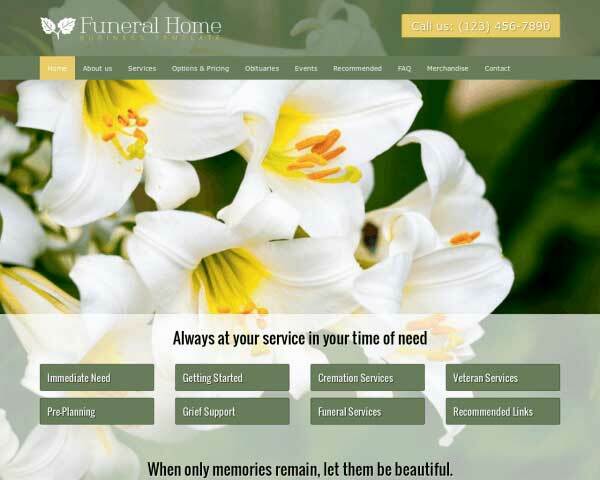 We think that this theme should be the basis for any funeral home website out there but let you be the judge of that. A professional website for funeral home owners can go a long way in convincing prospective clients of the level of professionalism to expect. 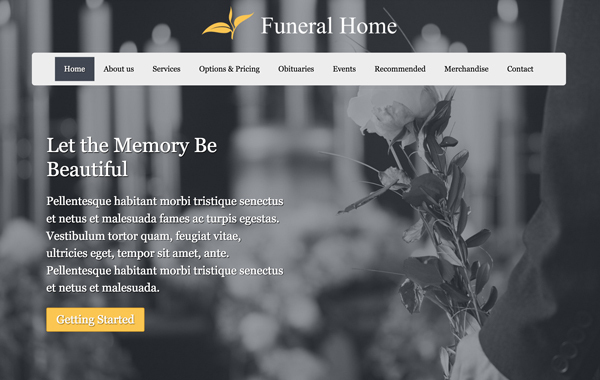 With the Memorial WordPress Theme, building a great website for your funeral home business doesn't have to be expensive or complicated. Just replace the placeholder text and images with your own to quickly get your complete website online fast, or have some fun with customizing the color scheme and adding new content. No coding skills are required thanks to our visual front-end editor and drag and drop widgets. With the most important pages and business features already in place, your website will be more than halfway finished right out of the box when you start with the Memorial WordPress Theme! Visitors won't have to search for a way to get in touch thanks to calls to action prominently displayed on every page of the Memorial WordPress Theme. Offer clients your suggested resources for coping through a difficult time. The Recommended page on Memorial WordPress Theme is ready for your text. The contact page represents the Memorial WordPress Theme at its finest. The page is very inviting and gives your customers multiple avenues to reach you. Individual pages have all kinds of options to attract new clients. 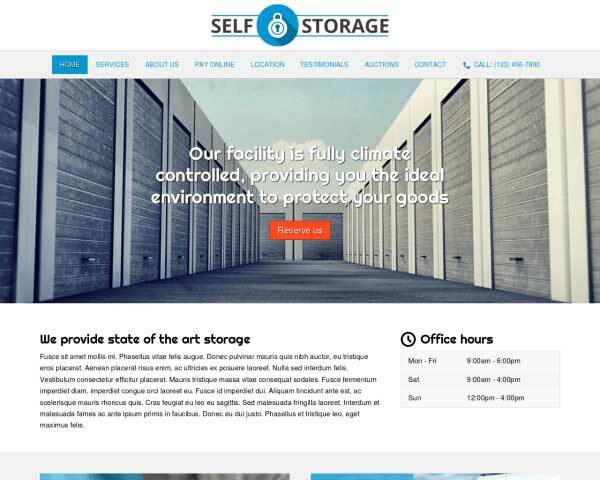 Multiple layout schemes, image galleries, video options like Youtube and Vimeo and much more are at your disposal. Got any upcoming events? The theme has a very easy way to publish the calendar on your website. We've built in a feature to create very informative FAQ lists. With a clear distinction between question and answer your FAQ's have never looked this great. 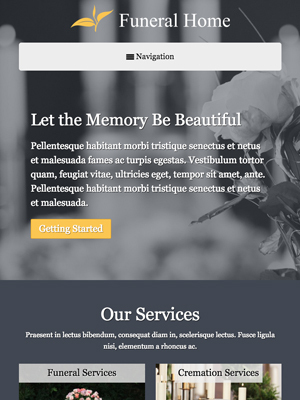 The Memorial WordPress Theme is designed with the specific business needs of funeral home owners in mind. Elegant design and pages for each type of service are just the beginning. We've included a page on the Memorial WordPress Theme to show clients photos and descriptions for the range of merchandise your funeral home offers. This WordPress Theme has a news overview and features to easily create your own news items. It's already set up so the only thing left to do is to reuse the pages and fill them yourself. The great looking design isn't reserved for the homepage. Individual pages where you can go into more detail about your services show just as much dedication to a great design. An important feature is to be able to redirect people to the most popular social media platforms you use. It's only natural that we've included these in the Memorial WordPress Theme. Give the Memorial WordPress Theme a personal touch by introducing each member of your team and sharing your approach to fantastic customer service. 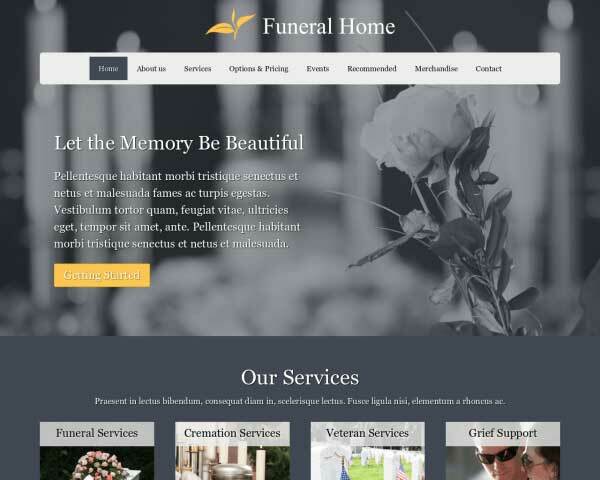 Whether browsing at home on a desktop or on the go using smartphones and tablets, visitors to your funeral home website will enjoy a great online experience when you build your website with our responsive Memorial WordPress Theme. Its mobile-optimized design automatically adjusts the layout of your content to display beautifully at any screen size, so you'll be able to keep your website updated with the newest arrivals in search of a good home without ever worrying about the mobile version of your website. Best of all, mobile visitors can simply tap on your phone number to dial or tap your email to open a new draft and get in touch.